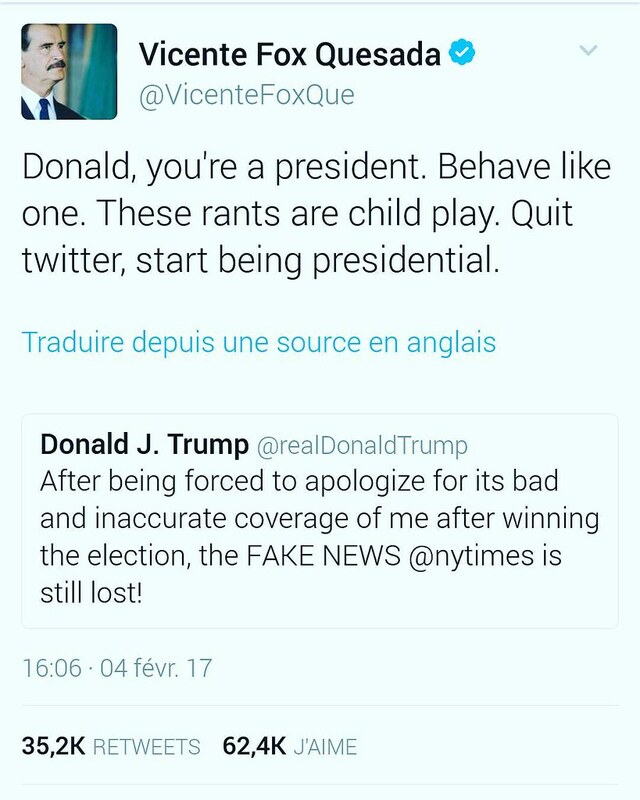 A former mexicain president tweets to the new american president. Almost incredible. This is real.